Proper functioning of the garage door springs is very important for smooth functioning of the garage door. If you find that springs are not working properly, then you must try to adjust them. However, adjusting the door springs is only wise when the springs are not broken. Although, it is always better if you call for a professional help to this job, but if you decide to do it yourself, you must make sure to release all the tension on garage door springs before you attempt to make any adjustments. The two types of Garage door springs which are torsion and extension springs require different type of adjustments. Extension springs are somewhat easy to adjust, but torsion springs are quite difficult to handle and should not be adjusted without professional help. Extension springs have different holes for the hook. The hook is there to hold the cable. One way to adjust them is to move the hook to another hole. Make sure you know how to do it the right way otherwise the situation can get worse and you might have to spend more than what you thought you would save and you can also put your safety at risk. Torsion springs can be very dangerous to deal with. This is because of the reason that the door will be down and the springs will be under a lot of tension. A weight of approximately 300 lbs will be lifted by the springs. So you can imagine the amount of pressure there would be at the springs and that is why it is very dangerous. There have been incidents where people got badly hurt dealing with this. However, you can make some minor adjustments yourself like oiling the springs; hook up the safety cables of the springs if they are not at the right place, etc. that does not require much physical adjustments or technical knowledge. One must have a good technical knowledge about every aspect of the door before deciding to repair the fault without a professional help. Even though you are aware of the technicalities, hiring Garage door repair services is still the safest option. When you call a serviceman to do the job he might want to replace the Garage door springs or any other part as well, but the springs should be replaced only when they break. In some cases, the serviceman might in fact, try to convince you to replace the entire garage door due some faults, but you must not agree easily with what serviceman says. Last but not the least, there are many other items in your home that you can troubleshoot yourself without professional help and which are not risky at all. You can save money if you want to. But, handling a garage door issues which are not minor is not a very good idea. 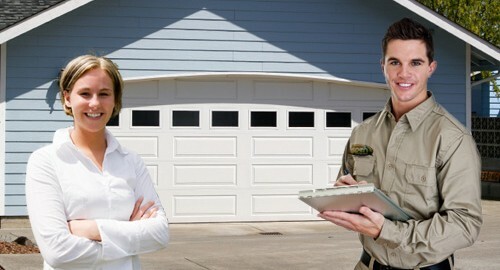 So, you must look out for a reliable garage door repair company.